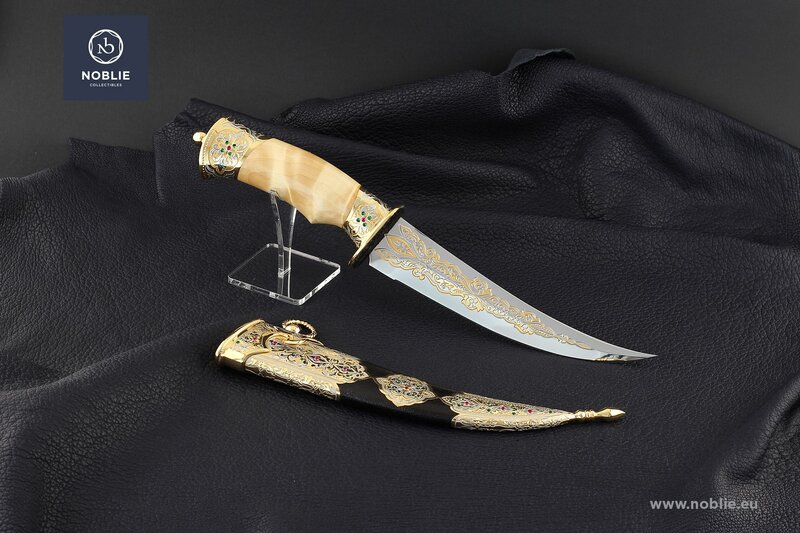 Noblie / Catalogue / Daggers / Dagger "Bebut in jasper and malachit"
Dagger "Bebut in jasper and malachit"
Produced by traditional methods of metalwork and decoration: forging, etching, polishing, engraving, nickel plating, gold plating, blackening, leather processing, fretwork, inlay. 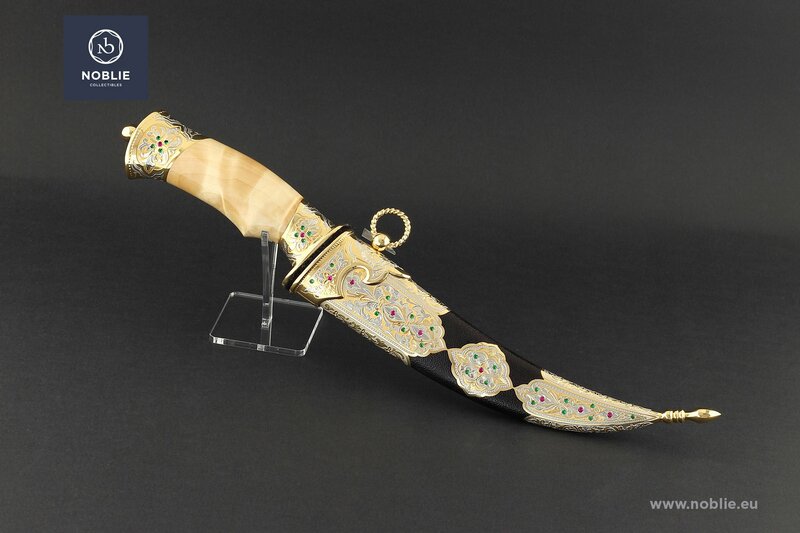 Designed as a minor version of traditional bebut dager with additional artistic decoration. Blade of stainless steel 440C. 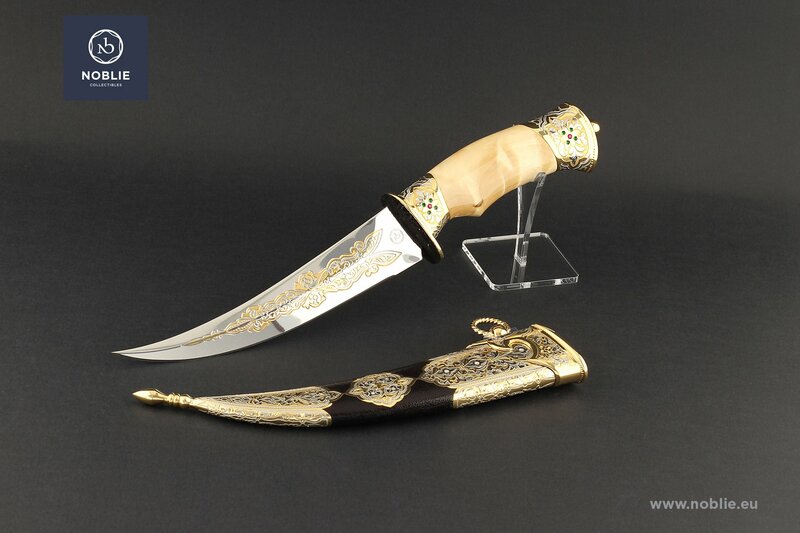 Shaped in the typical for the bebut knives design with outward curved blade. Engraved and gilded ornaments both sides. Handle of metal and wooden parts. Brass made and then gilded guard and pommel with decorative ball ending. 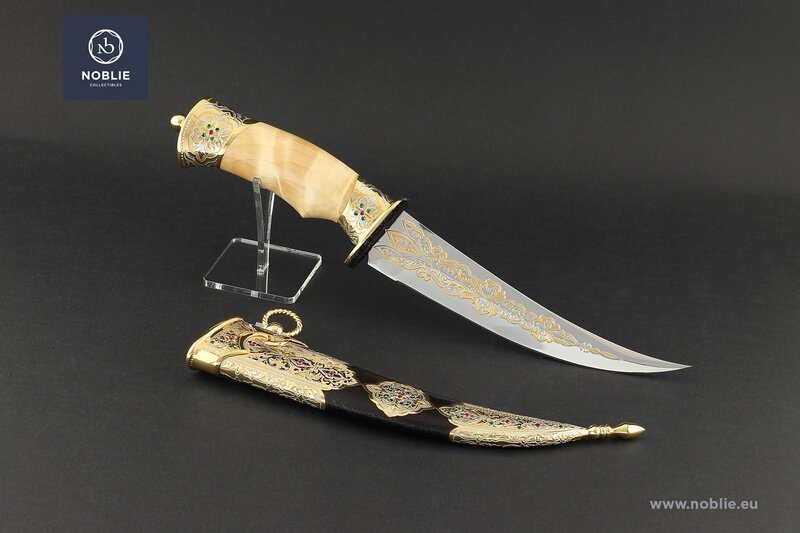 Decorated with gilded engravings and jasper and malchit inlay. Walnut wooden grip with one finger groove. 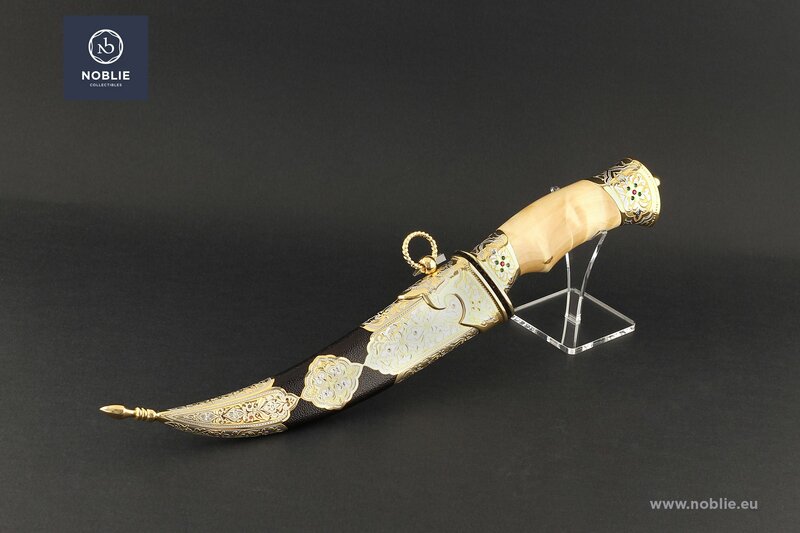 The scabbard is metal forged, wrapped in skatefish leather with three decorative brass made and then gilded metal parts. A mouthpice with hanger ring, adorned of fine engravings in floral motifs. Lotus shaped locket placed in the middle of the scabbard on both sides. Fine chape in gilded and engraved ornaments and spear peak ending. Jasper and malachit enlay on the mouthpiece, locket and chape on one side.